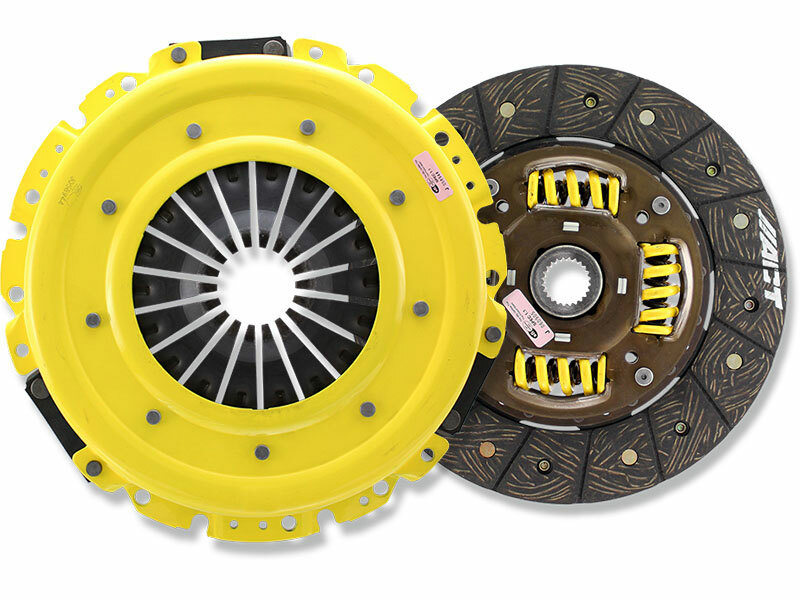 ACT Heavy Duty pressure plates provide increased torque capacity, durability, and extended clutch life. What makes ACT pressure plates the highest standard in the industry? First manufacturing always begins with new units. These are not rebuilt from worn out parts. Second, pressure is increased the right way. Altering the geometry alone is not enough. Instead, a stronger diaphragm is engineered. ACT diaphragms are heat treated using an exclusive 3 stage process and the release bearing contact area is hardened to reduce wear. Third, the pressure and release travel of the unit is designed to be in the optimum working range. Finally, by using proven assembly procedures consistency and precision is assured. Every unit ACT produces is accurately balanced and tested. No guesswork, no hype, only proven engineering and calculated results. *Note: Must use ACT Flywheel, Flywheel not included!